How do you spend sunny summer mornings? Sometimes we’re packing the car in a mad rush to get to our camp or the beach. But sometimes we don’t have to be anywhere. I love sunny weekend mornings when I can sit in the sun with the paper because there’s nothing that needs doing, no place that needs going. Those mornings when the kids ride their bikes in their P.J.s ‘til noon. This is a good recipe for that sort of day because it’s effortless to mix up and you have time to read the paper while it bakes. Then while it cools you can reel in the kids for a quick slice with peanut butter before they ride off to jump ditches again. Heat oven to 325 F. Grease a large loaf pan or line it with parchment paper. Mix together dry ingredients. Stir molasses into buttermilk (yogurt or soured milk). Stir liquid into dry ingredients, just enough to combine, then pour into loaf pan. Bake until firm and a toothpick inserted into center comes out clean, 45 minutes to 1 hour. Cool on a rack for 15 minutes before removing from pan. Believe it or not this is a quick bread — no yeast, no rising and ready in no time. It’s like the flip-flops of the bread world – quick, easy, just right for summer. This summer discovery is all thanks to Crosby’s Facebook fan Heather Andrews. 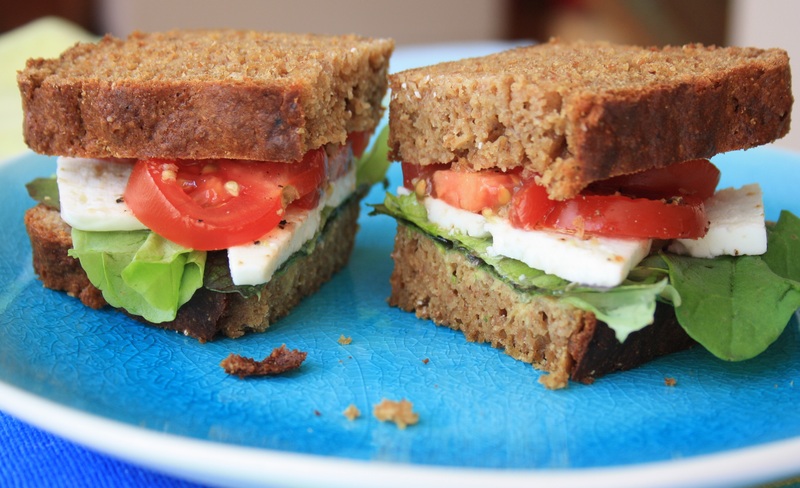 She posted last month that she makes a delicious whole wheat molasses bread. Who could resist? I asked for the recipe and baked it this week. 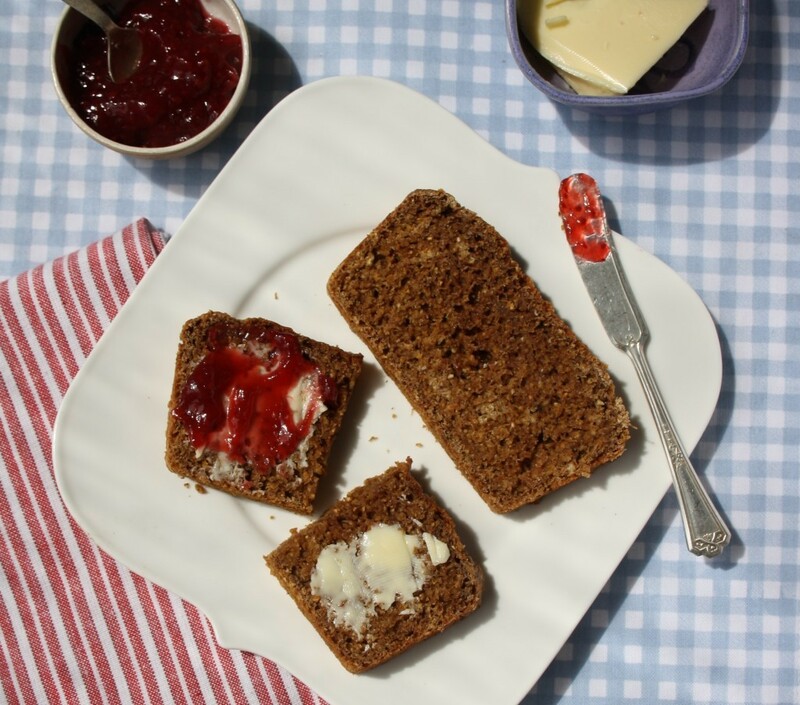 A quick bread that tastes like my favourite molasses brown bread. I assumed this bread would be more like a regular tea bread so got a great surprise when it reminded me more of my favourite molasses brown bread. Minus the time to prepare. (Not that I mind taking the time to bake yeast bread, when it’s not so hot out). Here is Heather’s recipe. I made it straight up, not nuts or dried fruit this time. Also, I used stone ground flour so my batter was thinner than it would be with conventional flour but the texture of the baked loaf was fab. Grease a 9 x 5 x 3-inch loaf pan. Heat oven to 400 F.
Beat egg in a large bowl. Stir in buttermilk, molasses and butter. Stir in flour mixture. Mix in walnuts and dried fruit (if using). Scrape batter into prepared pan and bake 40 minutes to an hour, or until well browned and a tester comes out clean. *NOTE: To replace buttermilk, just add one tsp. vinegar to each one cup of milk, or replace ¼ of the milk with plain yogurt. Another variation from Heather: Add ½ cup prepared mincemeat and reduced the milk by about ¾ cup. These Sweet Bran Muffins make a filling breakfast or a wholesome afternoon snack. Made with natural bran (not bran cereal), they have a great texture and aren’t too dense. 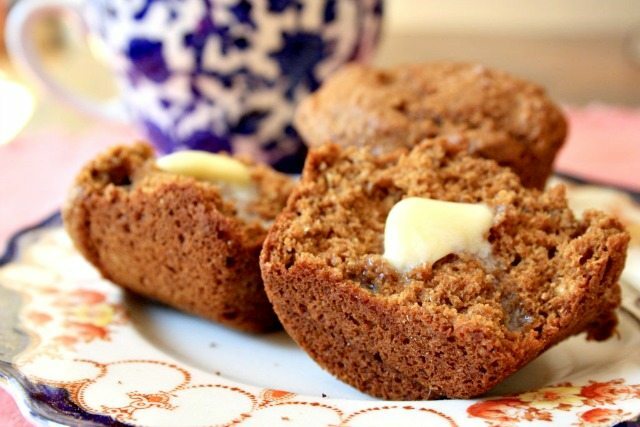 This Sweet Ban Muffin recipe is an old-time classic, the sort of bran muffin that your grandmother would make. 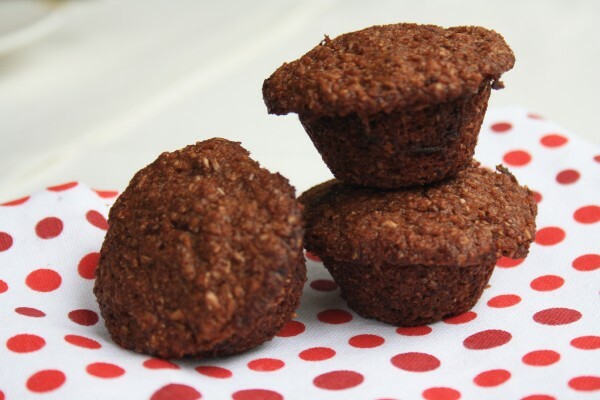 These sweet muffins are light textured and wholesome, low in fat and loaded with fibre. They’re filling at breakfast and make a great afternoon snack. Preheat oven to 400°F. Line muffin tins with muffin papers. In another bowl whisk together the wet ingredients. Fill muffin cups to 2/3 full. Bake for 15 – 20 minutes until firm and nicely browned.